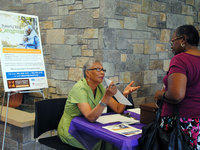 Our new Aging and Memory Mobile Clinic is the only mobile unit in the country dedicated to memory screenings for people of color. Our Foley Phantoms Special Olympics team have never let their disabilities get in the way of achieving their goals. 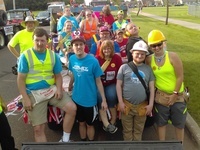 They recently accomplished another one, earning the Outstanding Non-profit Community Service award for their float in the annual Foley Fun Days parade. ​Estate & Elder Law Services attorney Lori Skibbie has been selected to the 2018 Minnesota Super Lawyers list for her work in Estate Planning. Each year, no more than five percent of the lawyers in the state are selected by the Super Lawyers rating service to receive the distinction. Two new canoes were recently delivered at Bar None youth treatment in Now Then MN. 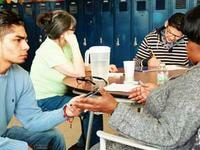 They will help add a peaceful healing experience for our teen residents at Bar None. 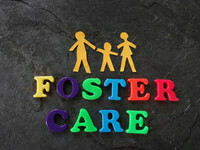 Did you know that May is National Foster Care Month? This month, we pay special attention to supporting foster families who open their homes and hearts to children and youth in need of temporary care when their family is in crisis. 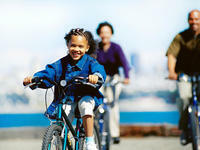 Every year, Volunteers of America-Minnesota partners with JT's Bikes for Kids to provide children -- who may otherwise go without -- with new bikes, helmets and locks. A life filled with self-reliance, dignity and hope. Imagine that. For everyone. Let's make it happen. Our Avanti Center for Girls generates waves of hope. 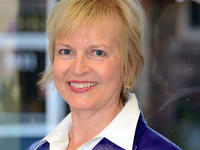 A message from Paula Hart, VOA-MN and WI President and CEO. 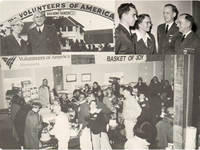 A Minnesota chapter of Volunteers of America was organized in Minneapolis on April 24, 1896, about a month after the National Organization’s founding in New York City. 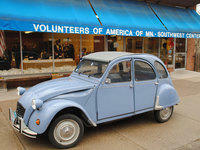 An eye-catching car highlights April in Paris at our Southwest Senior Center — celebrating 40 years of health, independence and dignity for older adults. 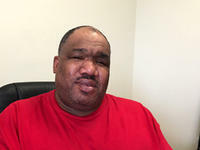 ​Charles, an Amicus volunteer, supports the Second Chance Coalition's efforts in the MN Legislature to restore the vote for felons, once they are released from prison. Students from VOA High School learned winter camping skills and how — not just to endure — but to thrive in the elements. This trip was boys only, to Wood Lake in the BWCA. The girls are next. ​Michelle wakes up, makes breakfast, takes her puppy Mimi out for her morning walk. Might not be noteworthy until you know the rest of the story. Action Team members from VOA High School had their feet firmly on the ground recently, as they participated in a service project at Glendalough State Park in Battle Lake, MN. 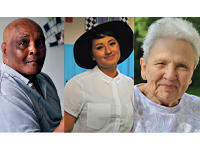 We’re joining forces with several other organizations to highlight and serve the needs of caregivers, especially those who provide dementia care for older adults at home. 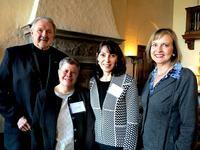 Graduates Diana Hinojosa-Medina and Thomas Mason receive annual VOA Excellence Award. 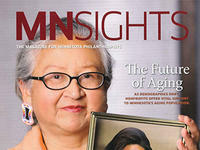 Our services for older adults in Minnesota ranked among the state’s top-five nonprofits in the recent “Philanthropedia survey.” The results were part of the MNSIGHTS magazine supplement, inserted with recent leading news media, including the New York Times and Mpls/St. Paul Magazine. 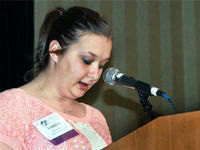 Tarren Davis, our lead direct support professional (DSP) at Milaca Living Center North, was honored by the Association of Residential Resources in Minnesota last week at its annual ARRM Cares Awards. Legislative committee considers bill to fund more local services for the Deaf, DeafBlind and Hard of Hearing. Do you remember the day Martin Luther King died? What sort of technology did you have in the 60s? 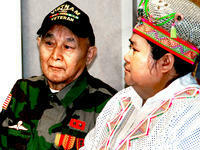 The courage and patriotism of our Hmong DayElders was recently honored though a video series premiere at the Park ElderCenter. 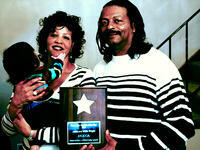 VOA-MN foster parents Willie and Anita Wright have been recognized as Foster Parents of the Year, by the Minnesota Council of Child Caring Agencies (MCCCA). 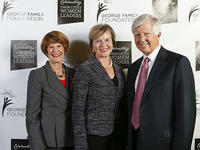 The George Family Foundation has recognized our leader, Paula Hart, among ten heads of non-profit health and human services organizations. 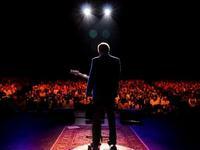 As part of its ongoing work with people with Alzheimer’s and their families and caregivers, Volunteers of America is supporting the documentary feature film, “I’ll Be Me,” chronicling Glen Campbell’s Goodbye Tour. 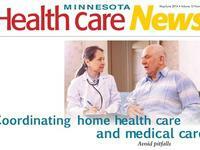 Minnesota Health Care News recently featured an article authored by Joyce Konczyk and Anita Raymond, who manage VOA-MN’s Care Management and Consultation program. 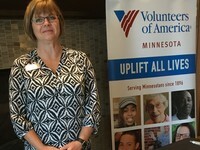 The Twin Cities consulting firm Navigate Forward has named Volunteers of America - Minnesota as its Charity of Choice for 2014.